In fact, Jacobean tradition has its origin in Padron. It was here- according to legend-where the apostle James went to preach. More precisely, at the rocks situated on the mound of Santiaguiño do Monte, currently a famous pilgrim destination. It was also here that the Apostle brought forth with his staff a fountain capable of miracles. After his return to Palestine and later decapitation, his disciples Theodore and Athanasius moved his remains to the furthest place from where he once preached. The boat carrying his lifeless body departed from Haffa (currently Tel Aviv) and covered the long route to Iria Flavia. It was there, in the old port of Murgadán, where his disciples tied the boat to a Roman altar, known as O Pedrón and, where they guarded below the main altar of the church of Santiago of Padron his remains. From here the name of the town derives. It is important to remember that the river Sar, that bathes the enclave, was navigable until well into the Middle Ages. The fact that it was here that the Apostles remains disembarked, allowed, in the XII century, for the king of Leon to grant the urban centre with funds, tax exemptions and political privileges. 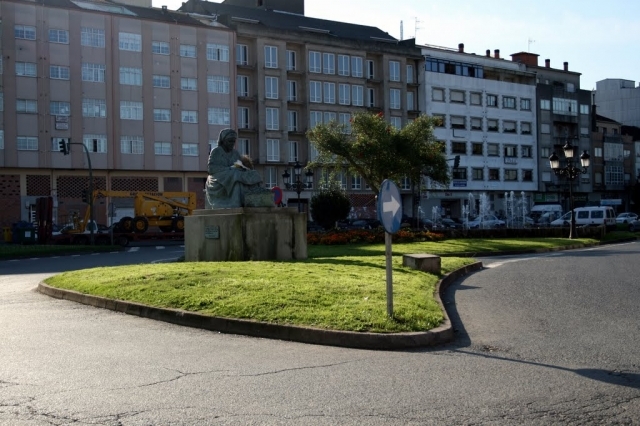 The enclave is the birthplace of famous writers such as the noble Prize Winner Camilo Jose Cela and the nineteenth century poet Rosalia de Castro, a leading figure of Galician literary Rexurdimento. The centre and its streets still conserve a medieval layout and offer many possibilities in terms of gastronomy, leisure and rest for pilgrims. For this reason it is an obligatory stopping place for all walkers departing from Portugal. 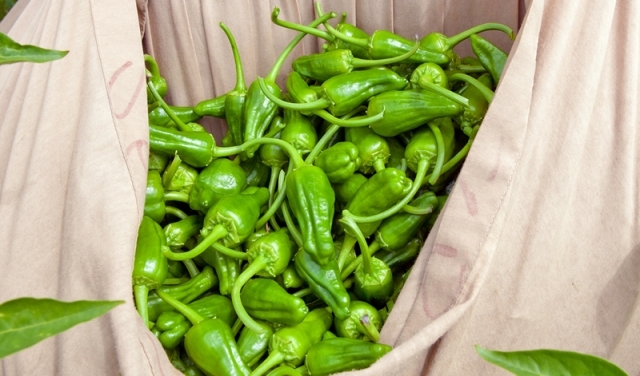 Aside from its Jacobean link, something that distinguishes Padron and makes it different from the neighbouring Herbon, are its peppers, a unique product. The crowded Sunday market. One of the largest street markets in Galicia with 600 stalls selling all kinds of products. On market days all shops in the centre open. Pedronía, the certificate of Padron Since 2010, and, following help from local authorities, the credential of Padron has been recuperated. With this the popular saying came “o que vai a Santiago e non vai a Padrón, ou fai romería ou non” (those that go to Santiago and not to Padron, may be pilgrims or not.) This credential is given to all who complete the pilgrimage from Santiago to Padron or who travel from any of the villages on the Arousa estuary to the capital of Sar or from other locations in Padron and cover a minimum of 18 kilometres. In addition, pilgrims should visit other Jacobean locations in the capital of Sar: the parish church of Santa Maria, the fountain of Carme, Santiaguiño do Monte and Pedron (the stone). The pilgrimage can be done on foot. On horseback, by bike or by sea on any sized vessel. In the first cases, they should reach the river Sar and, in the latter of A Ponte to continue the route on foot until reaching the town. To obtain the Pedronía, walkers should hold the Carta de peregrinación (the pilgrim card), which can be downloaded from the council website of Padron (www.concellodepadron.org) and should be stamped in their place of departure. On reaching Padron the certificate is handed in to the tourist office, to the pilgrim hostel or to council offices. If you are traveling on the Camino de Santiago or are planning to do so soon, you should know that the distance separating Padrón from Santiago de Compostela is 24 kilometers.